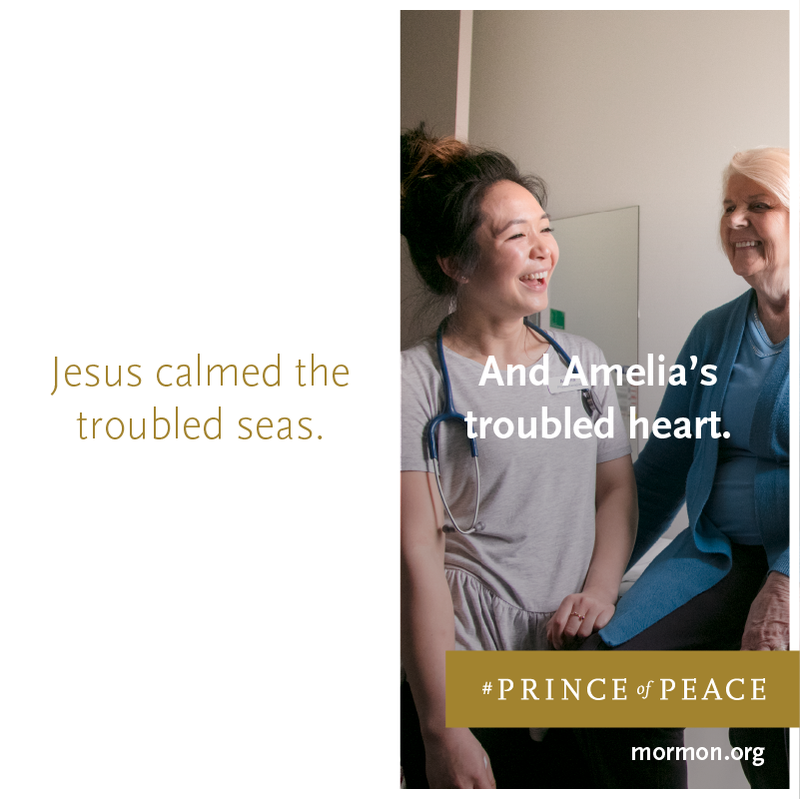 Prince of Peace – the key to finding peace. I don’t get religious a whole lot on this blog and although I don’t write about it, I hope my values and beliefs are evident through my actions and posts. Today I am opening up a bit. This Easter season I am trying really hard to focus on the true meaning. This isn’t hard for me because obviously I am an adult and I already know that Jesus Christ is the true meaning of the holiday, but sharing the true meaning with my kids is something I really need to do better at. I think it’s really important for my kids to know not only the reason behind Easter, but the reason behind this life really. I have been reflecting on the importance of the principles in my life that make me happy and bring me peace. I have found that each one of these principles that I treasure so much lead back to our Savior, Jesus Christ. He is the key to happiness and is the key to feeling peace through otherwise unsure times. “It was the first of March 2011, I had just had my second daughter, Olivia, three weeks prior. She had woken up with a little cold one morning which is something I wouldn’t have normally worried about. RSV season here in Utah was at an all-time high and I remember having mother’s intuition, or in better words being ‘prompted’ to call our pediatrician to see if I should bring her in. She was only three weeks old and I figured that I might as well be safe then sorry. A few hours later we were in the doctor’s office and he was checking her out. I wasn’t expecting him to tell us that she needed to be admitted to the hospital but he did. In fact, I believe his exact words were, “We need to send her over right away, this could either be RSV or Pneumonia”. I sighed a big sigh. I had just been in the hospital three weeks prior giving birth to her and one week before that I was in the hospital with my 23 month old because she had RSV too! Feeling annoyed and overwhelmed, I packed up my tiny baby’s things and we headed over to the hospital. Once we got all checked in, I sat with my baby and rocked her tight for the rest of the afternoon. You can imagine how I felt at that moment. I was emotional already because I was fresh off of having her so this on top of that was more than I could take. My husband had come to visit and night time came so he went home to be with our other daughter and I was staying the night with our sick Olivia. I finally got comfortable on the couch-bed and was drifting off to sleep. In the middle of the night the nurse came in to check on Olivia and do her vitals. She had spiked a high fever so they gave her some medicine to get her temperature down. About thirty minutes later they came to check on her and her fever had only gotten higher. “We better call the doctor”, the nurse said, and before I knew it at 2:00am her doctor had shown up to the hospital. “This can’t be good”, I thought. Her doctor explained to me that they needed to do a spinal tap right away to rule out meningitis. Spinal Tap? Meningitis? Those words were so serious, something I had only heard on hospital shows. I remember being really scared. The worst part was when the doctor told me that I couldn’t be in the room when they performed the tap. I watched as they took my little 3 week old baby out of the room and down the hall. I felt helpless. I was all alone. No one to talk to. No one to comfort me. No one to tell me that everything would be alright. For the first time in my life I really felt like I had no other choice than to turn to the Lord. I had to put my faith in Him and plead for comfort. I remember getting on my knees and praying on the hospital crib in the middle of the room. As soon as I began praying, I immediately felt comforted. It was so apparent; like someone was literally wrapping their arms around me. I felt peace. I wasn’t alone. I had someone to talk to. Someone was there to comfort me. I heard someone whisper that everything would be alright. It seemed like they were gone for hours, but about 15 minutes from the time they left the doctor brought Olivia back in the room. Unfortunately, they weren’t able to get any fluid from her spine so they had to treat her as if she did have meningitis. This meant that they had to keep her in the hospital for 5 days to make sure that she was responding okay. I felt like I could conquer anything at that moment because of the peace that I felt. If it meant being in the hospital for 5 more days, I could do it. I am so grateful that I am able to feel peace in my life through Jesus Christ, who atoned for me and my sins. He knows of our struggles because he has felt them himself. He knows of our sadness, because he has felt them himself. He knows when we are hurting, scared, or nervous…He knows us. He brings us peace. He is the Prince of Peace. I hope that whenever you are all feeling unsettled in this life whether it be through trials, losing a loved one, being scared or sick, battling an addiction, or otherwise; that you’ll remember to turn your heart to the one that has experienced it all through the atonement, our Savior. I know that he was resurrected and that he lives. Easter is such a wonderful time to celebrate this because I feel like not only was Christ given life again, but so is the world. After winter when everything dies, Spring comes and the world is given new life again. Flowers bloom, trees get new buds, animals are born and the world is beautiful and colorful again. We can all be given new life by finding joy and peace through Christ, the Savior. Have a Happy Easter everyone! 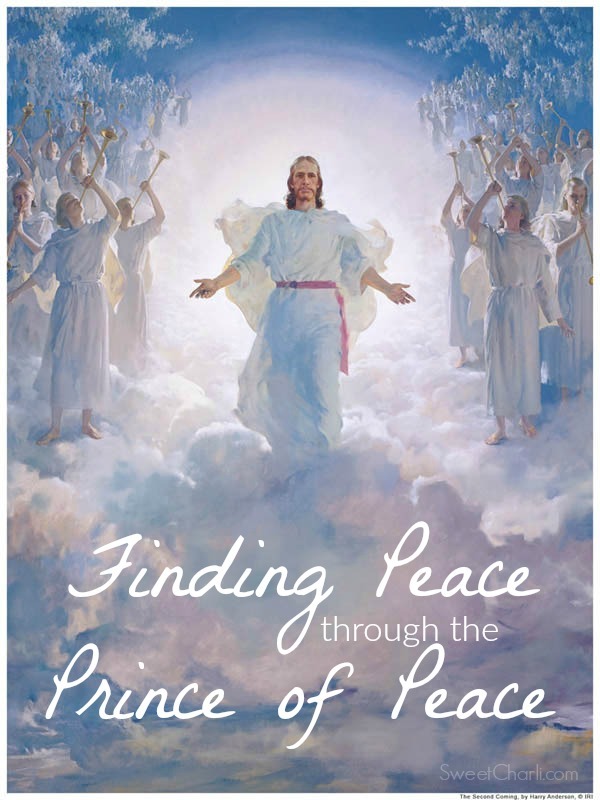 I hope that you’ll join me in finding peace this Easter season. 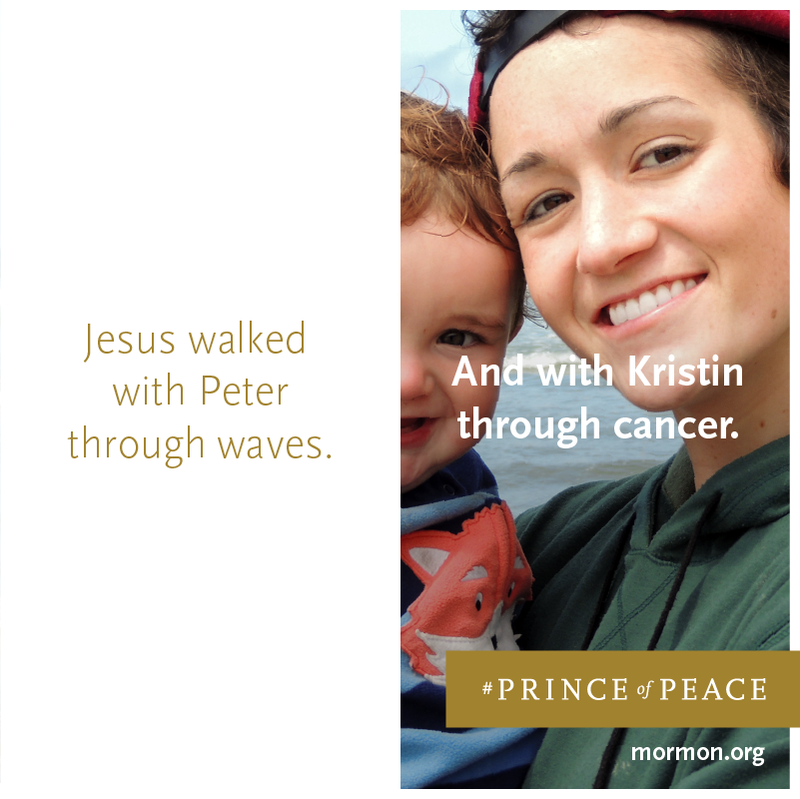 Visit mormon.org to find ways that you can find peace and spread joy through the #PrinceofPeace Easter campaign. I am in tears… such a great post!